Come August, my daughter turns 21. Like anyone else that has raised a daughter, you have varying levels of drama and joy. I have to say that we have a fantastic relationship. She's in school now, but I think back to times she was younger and wish I could have her ask to tag along to the grocery store just one more time. It's true you can never appreciate something as much until it's gone. When she was little, and as a family we were out doing....whatever....there were numerous times she would ask me to hold something for her. A rock, some coins, a feather. Something catches a child's eye and they want to bring it home. Boys rarely ask you to hold stuff because clothing manufacturers know to give boys pockets in their jeans and shorts. But women, and young girls, it tends to not be the case. So Dad transported these small items home. 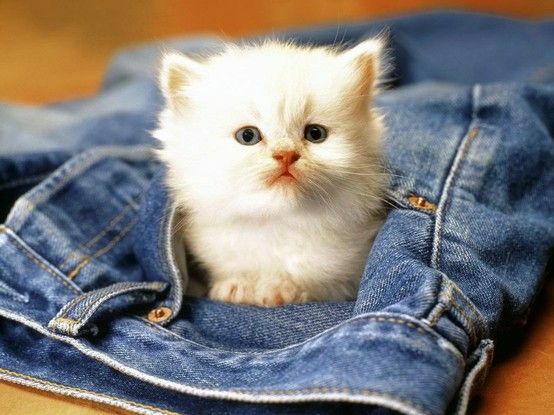 For my daughter, I designated that little coin pocket you find on the right side of your jeans as her pocket. I didn't want to ruin whatever was handed to me by putting it in with car keys, change and all the other objects that make it into my pants. So I would show her it was going into that special pocket. In time, she would ask me to put something into "her" pocket, knowing it referred to that little coin pocket. By seeing it going in, she knew her treasure was safe. I thought you handed me a flower!! Today was a quiet one at work (thank goodness) so I had time to organize my desk. And in that cleaning, I found a couple stacks of pocket schedules. I not a collector of them per se, but when I am on vacation, pocket schedules make for great, cheap souvenirs. It's pretty tough for me to NOT grab a half dozen or so every time I see the little box in the convenience store, or on the counter at the gas station. And barring them being all gunked up, I seem to never throw them away. But I am in clean up mode, so throw away the dupes I will. Unless one of you wants them. Yup - let me show you what I have destined for the garbage. Make a claim and I will drop whatever you want into the mail. Pick one or more. I have extras of a lot of them so just because it's claimed doesn't mean I don't have more. I'll list the total of each below. When I found these Bulls schedules from last year, I noticed there were three different covers, so I grabbed one of each. And by one of each, I mean 5 of each (don't let me around "free"). So I am keeping a set for myself, but I have 4 more sets of these available. The top two are both Wisconsin teams. 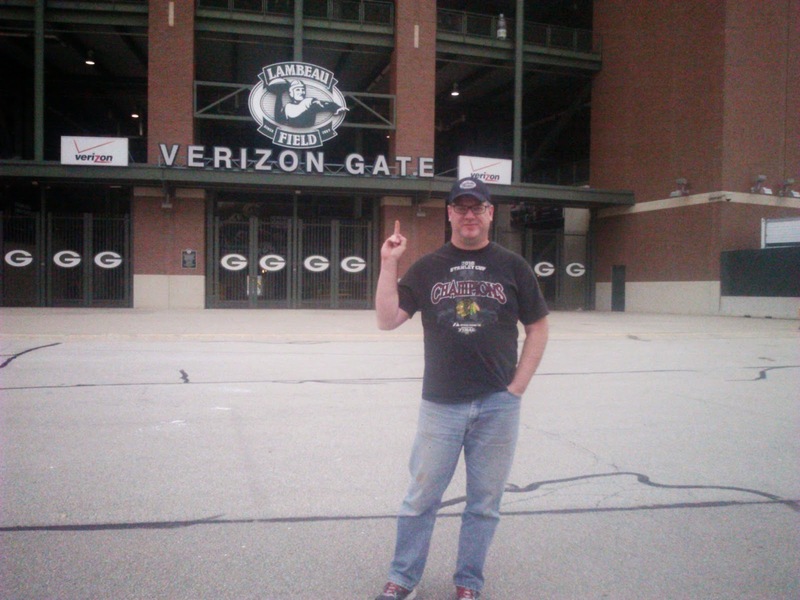 When we meet our daughter sort of half way, we meet at a mall right next to Lambeau. Nothing witty here. I'm giving them the finger. While in that mall one time, I found the Rattlers and Gamblers schedules. I have two of the Rattlers and 3 Gamblers available. 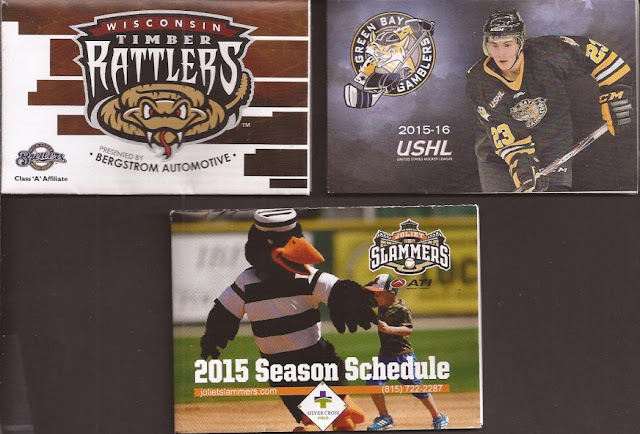 The Slammers are the local Frontier League club here in my hometown. Joliet is known for having a prison, hence the name Slammers. I've got 5 of last year's schedules up for grabs. You would think I'd grab more Hawks schedules but I just have one each of 13-14 and 14-15. The Kane County Cougars used to be the minor league club of the Orioles. Then Marlins. Then Athletics. Then Royals. Then Cubs. Now it's the D-backs. The ballpark is not that far from my house (30 minutes), so there are plenty of Cougars schedules in the stores. Some how I have 9 of those available. Ok - just comment below. I don't need anything in return, expect maybe your address if I don't have it. And if you know someone that collects and needs these, point them here. And lastly - if you want any schedules from the Chicago area, drop me an email. I am more than willing to find what I can for you and send them over. Cubs, White Sox, Bears, Bulls & Hawks. Plus the Cougars and the Slammers if you would like those. I won't go nuts looking for them, but you can be sure I'll have some in my pocket should there be any on the counter. Maybe you can send me a schedule or two from your town in return? Rattlers and Slammers for sure! and if you can part with one more...14/15 Blackhawks. I also won't say no to Cubs and White Sox. If I appear greedy, then do forgive. ;) thanks for the opportunity! Not all fathers have a relationship like yours with your daughter. you are both so fortunate to have each other! Good story and something I'll take to heart as the father of a 4 year old boy and 21 month old daughter. I would be interested in a set of the Bulls schedules and the Rattlers (if there is more than the one Julie claimed). I could go for a set of Bulls schedules if there's any still available. Ate lunch at Lambeau field last October! and I actually have a fan coin that I keep in my pocket that I bought at the team store for the Timber-Rattlers!! Very cool story, and congratulations on surviving your daughter through her teens!! Jeff, nice post. My daughter is just a few years older than yours. I can relate. Love the Pretenders btw....Chrissie Hynde is awesome. Great post. It's always fun reading about things like family... instead of sports cards from time to time. I know Zenus over at The Prowling Cat blog ( http://theprowlcat.blogspot.com/ ) collects pocket schedules. He'd probably be interested in any unclaimed schedules.